Located in a corner of my kitchen, my sewing space is easily accessible and allows me to quickly make a repair or sew a project while my kids play, watch TV, or just hang out close by. 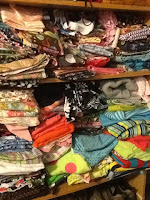 My fabric stash is located in a closet in the hallway as well as on a bookshelf in my kitchen. 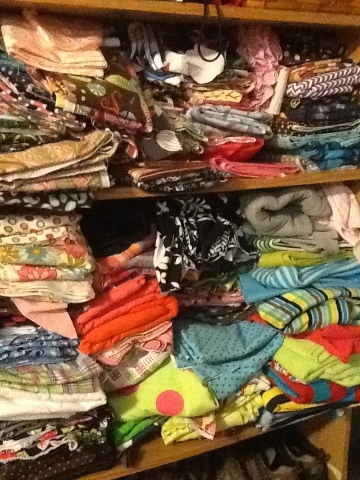 Here is a picture of my sewing corner (and one of my messy stash). 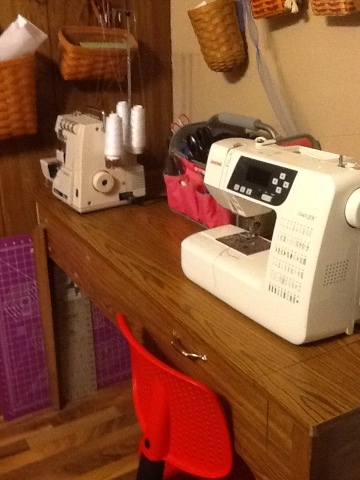 Love how clean your sewing corner is and your messy stash. Uh oh my hallway cupboard needs attention too. I cannot find things in a great hurry.